Paralympic gold medallist James Roe hopes his decision to take a year out from international rowing can help him "re-kindle his love" for the sport. 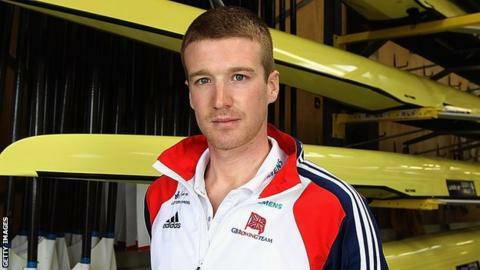 Stratford's Roe, 24, has chosen to take a break after helping the mixed coxed four boat to gold at London 2012. "I've always loved rowing and I'm always going to keep doing it," he told BBC Coventry & Warwickshire. "But I think that a year away from the international scene will help re-kindle my love for it." He continued: "There was so much pressure before London, and now it's all over, it's hard to find that motivation to do another four years flat out. "A bit of time away will do me good I think." Roe, David Smith, Naomi Riches, Pam Relph and cox Lily van den Broecke, won Britain's only Paralympic rowing medal at London 2012. Since the Games, Roe has spent time away on holiday and has decided that next year he will concentrate on rowing with the Stratford club, instead of the rigours of international sport - but it is likely to be only a temporary break. "I'm going to spend the year training and doing things I want to do at a club level and hopefully go back to it next year. "Just to go to Rio (in 2016) would be incredible and to defend your record out there would be really amazing. It's definitely a massive temptation to go back," he added.